Of all the names, titles and designations that describe and honor Jesus probably none is more unique than the one ascribed by John. In the beginning was the Word, and the Word was with God, and the Word was God” (John 1:1). Word. Jesus is the Word. How do we know? The context tells us. “Logos” was very familiar to the Jews since it frequently occurred in the Septuagint version. The verb communicated the repeated expression “God said” in Genesis 1. They used Logos to describe God’s divine action in creation, as well as His verbal communication with mankind. Logos was the dynamic power of Jehovah. To the Greeks, “Logos” embodied a great philosophical thought. Heraclitus said it was “the unifying principle of cosmic law by which all things happen.” The Stoics called it “the great creative force.” Logos is the reason why we have a cosmos instead of chaos! Over time “Logos” took on a new meaning to suggest that which mediated between God and creation and it set the stage for John’s usage in his Gospel. (2) Jesus is the Divine Word. “The Word was God” (Jn 1:2) The word “God” is “theos” and means Deity. Jesus was divine! Jesus was Deity! Jesus was God! (3) Jesus is the Creative Word. The text says, “All things were made through Him, and without Him nothing was made that was made.” (Jn. 1:3). When Jehovah said in Gen 1:26, “Let us make man in our image,” he was speaking to the WORD, the co-creator. Jesus is the life. But what is necessary to sustain life? Light! Twenty-four times “light” is used in John’s Gospel and most are spoken by Jesus himself who said, “I am the light of the world!” Jesus gives light and sustains life! (5) Jesus is the Incarnate Word To The Jews “Logos” was the unseen power and majesty of God demonstrated in His work and creation. To the Greeks Logos was philosophical. But John defies both schools of thoughts with the affirmation THE WORD WAS MADE FLESH! WHAT LOGOS MEANS TO US? Jesus is the compete revelation of God. The express image of God. The essence of Godhood. Jesus is the main message of the Bible. 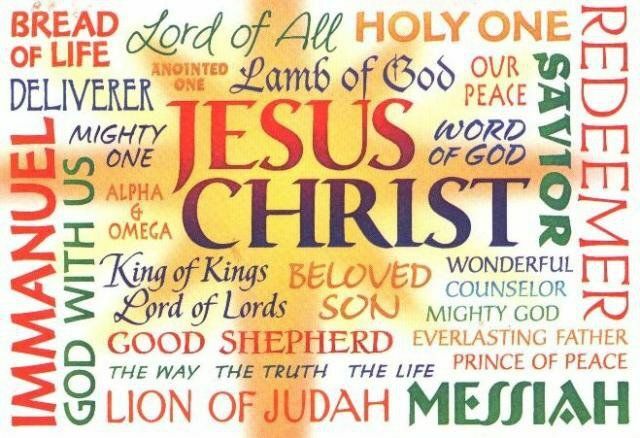 From Genesis to Revelation, Jesus is the theme of God’s Holy Book! Jesus is the final Word on all matters of spiritual significance. The Father emphatically announced, “Hear Him!” (Matt 17:5). He is the Father’s spokesman today (Heb. 1:1-3). “The Word was made flesh.” He was weary. Thirsty. Hungry. He groaned. Wept. And suffered. He experienced the pains and problems of the flesh. He partook of humanity that we might enjoy divinity. He was affiliated that we might be healed. He was rejected that we might be accepted. On Friday he died that we might live. And on Sunday He arose from the dead, that we too may be resurrected to eternal life. The Logos is the centerpiece of civilization. The object of our worship. The focus of Sunday’s celebrative communion. Behold His glory! See His grace! Discover His Truth! Jesus. The WORD!